137 photos in database by this submitter. 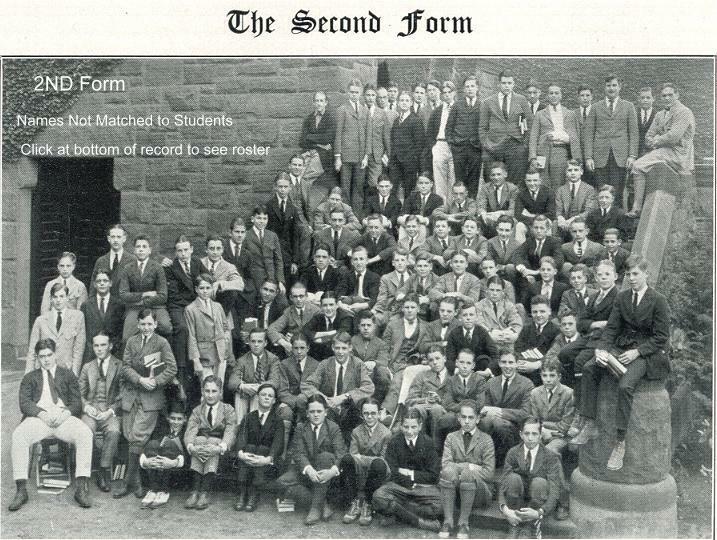 Comments: James William Simpson (Nee: ) | Pittsburg Pa | 1921-1940 | Comments: 2nd Form Class Photo//Names not matched to Students//The 1922 Lawrenceville School on the John C Green Foundation Lawrenceville NJ.To see all the photos submited from this yearbook click below. If you need a close up scan or have a question email webmaster@deadfred.com type in subject line : 1922 Lawrenceville Nj YearBook.